Here’s a thought: ALLOW the Future to affect your Present NOW. Contemplate a desirable future event, deeply. Then imagine backwards to where you are presently. What might you be doing now or in the foreseeable near future that can carry you, even PROPEL you forward to the realization of that desired effect or set of conditions? We do this in reverse order unthinkingly, much of the ‘time.’ That is, we are generally dimly aware of how our present thoughts or actions might influence future developments or “consequences.” But reasoning or imagining backwards instead FROM a desired future can help us be more mindful of our thoughts and actions as constituting a process by which future and present are naturally interconnected or ‘entangled’. Adapting the PRESENT in view of a desired future can LAUNCH and PROPEL you directly to that desirable set of outcomes, like a “truly aimed” arrow from a taut bow. I offer this concept of discerning the “One Thing” to life mapping clients who are aiming to manifest life goals. To be effective, the One Thing needs to be something very definite and will generally incorporate ‘out of the box’ thinking. 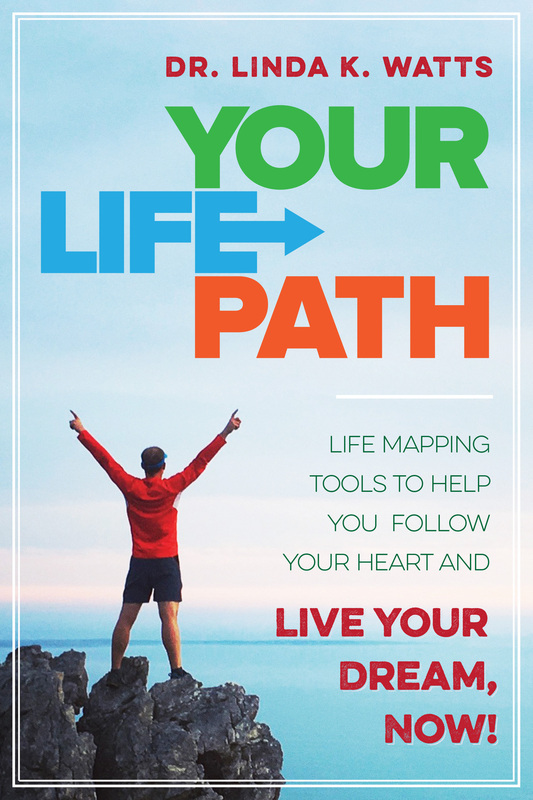 Here is a personal example: While engaged in an archetypal psychotherapy process several years ago, I was developing the Life Maps Process by conducting a series of interview studies and writing articles about the results. When I began to understand that the interview subjects were benefitting from the very process of engaging in life review and reflection, I wanted to take this beyond the “study” phase to write and publish a personal development book and handbook by which people could do this on their own. My therapist helped me to recognize One Thing I could do to create the time and mental space I would need to make this shift of focus and produce the book: a full month writing retreat! Although I had very little savings, she asked me to consider taking a one month retreat, and the more I thought about that prospect, the better it sounded. I found a way to hire a pet sitter and I rented a chalet in Steamboat Springs, Colorado for a full month that next summer. I brought my elder cat companion Ariel with me. Every day for 10 to 14 hours almost every day, I wrote a proposal, several preliminary chapters and the opening chapter pages for a full book. Since then, I have never stopped my forward motion toward manifesting this dream. I have now acquired an agent and have a well developed, full book manuscript and proposal. Hopefully in a few months we will begin to circulate the proposal. With true fulfillment, I will at length be able to announce to you here when LIFE PATHS: Life Mapping to Live Your Dream, Now! will be released. The point is that the writing retreat was precisely the One Thing that would launch and propel me in the true direction of realizing my future goal. It took planning. It took a leap of faith to find the means to accomplish the agenda. It took finding the right place, the right chalet. But when it all came together, it was like magic and every day was filled with wonder and delight. I was manifesting in the present every day that month material that would only fully coalesce in the future of my envisioning. Most of the material that I organized and wrote is still embedded in the current manuscript, though much additional material has developed since what I could only begin to conceive of then. The retreat SET IN MOTION for me a process that has only accelerated ever since. So, WHAT IS YOUR ONE THING? What future Life Dream would you love to be able to manifest, IF ONLY? If only WHAT? You had the time, the money, the opportunity of one sort or another? Then consider: how can you OPEN THE PORTAL of that specific OPPORTUNITY? I invite youto take some time to work this ONE THING out. Don’t just commit to a new habit or activity in order to move toward your envisioned future. It’s not (usually) just about exercising more or journaling more or reading more; although, in principle any of those COULD be your One Thing, if it can truly FUEL your specific trajectory forward to realize your goal. But is there something more, something different, something DISTINCT that you CAN DO that will aim you irrevocably in the direction of fulfilling the very future that is reaching back to you RIGHT NOW and calling you forth?